All vehicles manufactured after 1996 (for US) or 2000 (for EU) must contain an On Board Diagnostic (OBD) connector and OBD compliat engine Electronic Control Unit (ECU) that provides diagnostic information about engine status, faults and monitors how engine works. The data provided by the OBD II diagnostic system were originally intended to monitor the engine's emissions and track down problems that caused cars to pollute more than normal. Today, however, manufacturers have extended the standard to contain a great deal of data about other problems and performance. OBD II data is what causes your car's "check engine" light to go on when there is a problem, and it is likely your mechanic's tool when you bring the car in with symptoms that have no obvious cause. Since the data's transmission format and content are standardized, a number of tools have been developed to read information via OBD-II connector. We provide Windows-based PC application OBDTester, but also open-source pyOBD. Both applications work with our ELM-USB OBD-II diagnostic interface. Read more why should you choose our products. Engine control unit (ECU) performs various test. OBD-II application allows you to view results of them. DTCs are error codes that can be looked up to determine what problem your car is experiencing. Two types of fault memories exists: persistent (currently failing components) and non-volatile (stored errors that occured in past). For example, the DTC P0302 means "cylinder 2 misfire detected". 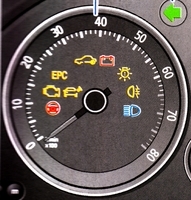 If the condition that caused the DTC persists, the car's computer will turn on the "check engine" light. Real-time data are the raw sensor data reported to the OBD-2 compliant control unit. This data can be helpful for troubleshooting problems and monitoring engine performance. Freeze frame data is a snapshot of the real-time sensor feeds at the time of a DTC condition. You can use this data to figure out what was going on at the time your car's "check engine" light turned on. OBD-II also provides detailed oxygen sensor data allowing emmision diagnostics. How can I profit from having an OBD-II tool? For hobbyist the benefits are obvious: you can see what is going on in your engine. You can measure sensor values, read faults, etc. Even if you do not want to repair your car yourself, having an OBD-II tool is useful. OBD-II program will tell you if there are any hidden fault codes even if malfunction indication lamp is not yet glowing. And furthermore, you will have better control over what you mechanic is (or isn't) doing with your car.